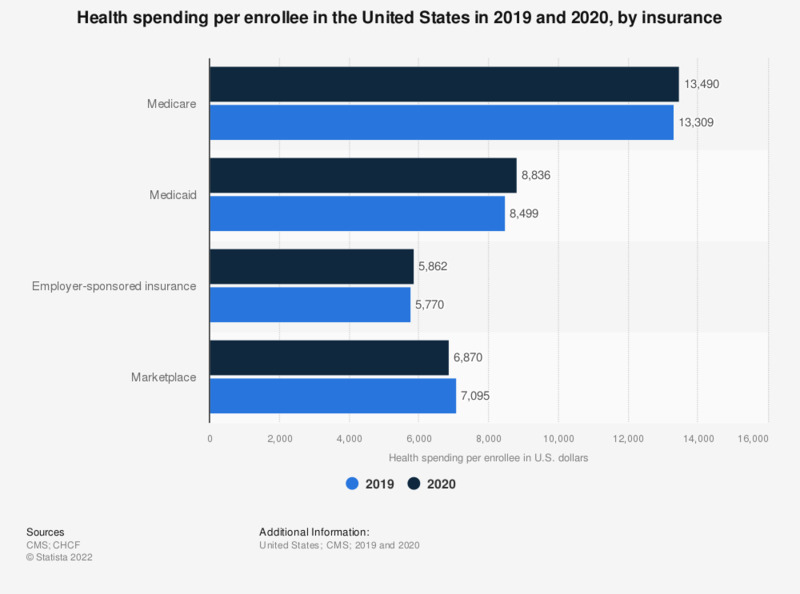 This statistic represents the health spending per enrollee in the United States in 2015 and 2016, and a projection for 2026. In 2015, the health spending per Medicare enrollee amounted to 11,951 U.S. dollars. For 2026, it is expected that this figure will increase to 18,525 U.S. dollars. * No projection available for 2026.